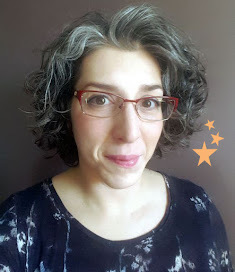 Here I am with "... an introduction to your blog and your crafting specialty/personality." I've started a blog because I love reading whipup.net & wanted to participate in "whiplash". 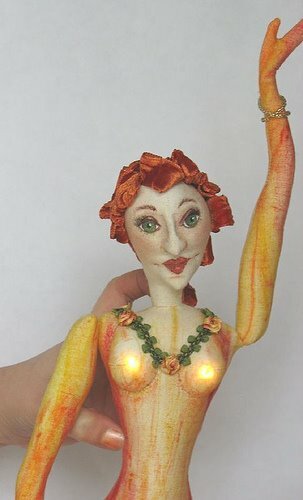 I've made art dolls for years, and also knit, craft & spend lots of time online! She's made of muslin and stuffed with poly-fill; wired for standing. I colored the body with pastel dye sticks and her hair is crushed velvet ribbon. More of my Party Time! doll pictures & some internal wiring details can be seen at flickr: http://tinyurl.com/grkcm. Wow...this is fabulous! I'd love to see pictures of the process you go thru making something like this.